We had a busy 'railway in wartime' weekend which this year coincided with a wedding in St Matthew's, next door. The bride had been in the coffee shop last month for her hen party. When they booked the ceremony they hadn't realised she would be a war bride. 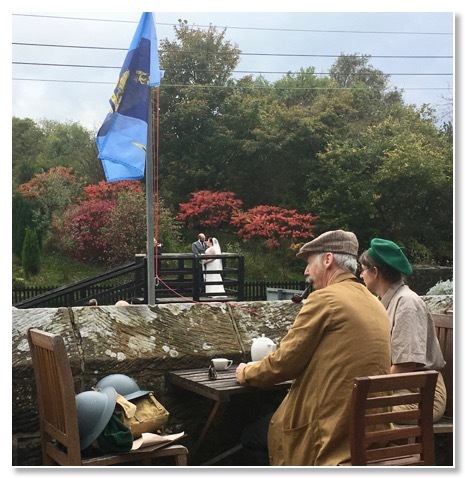 The photo shows a couple of our regular war weekend customers - the pipe is a prop, the moustache is real. The flag in the photo is that of Bill's father's unit in WW2: Royal Marines 40 Commando. 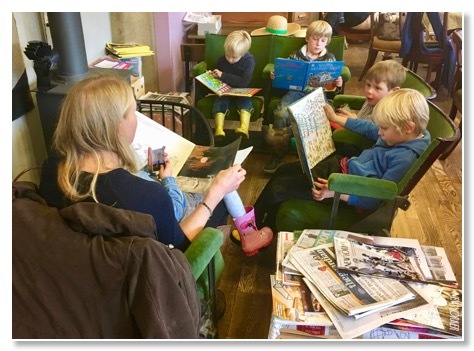 Lots of young visitors came to the coffee shop during half term. This group enjoyed reading and being read to, sitting comfortably next to the log burner. 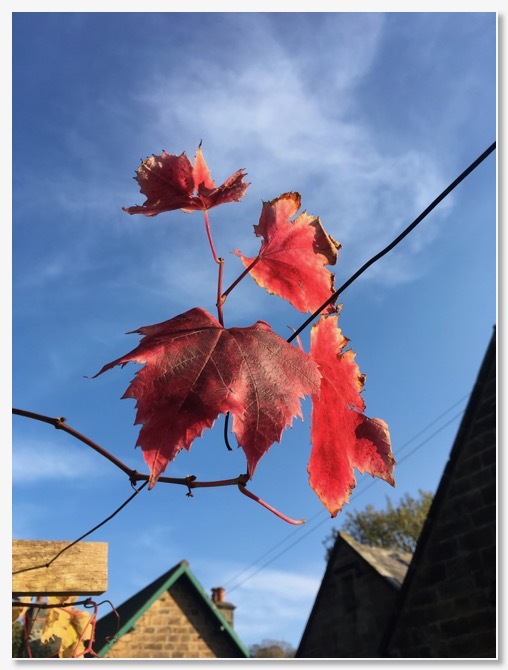 We haven't had a real frost yet, but most of the leaves have gone from our grape vine. These last three look amazing in the late autumn sunshine.